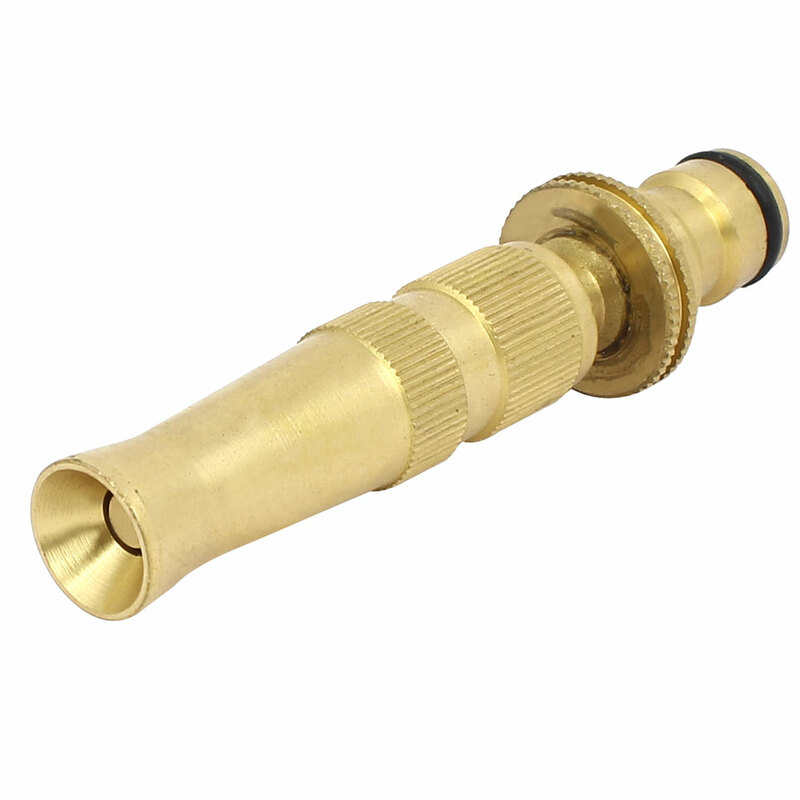 The Adjustable Hose Nozzle is great for cleaning walkways, patios decks and more. Multiple spray patterns and flow volume are at your fingertips. Twist the to adjust the water pattern from a fine, cone-shaped spray to a powerful stream. Twist the back and the water is off. Designed with high pressure performance.with washing also work at different pressures. This?Hose Nozzle need?through the quick connector to?Link?Water?pipe. ?Please measure the size of your hose before ordering.